Physical testing of prototypes is mainly used as a last check before a new design is approved, providing correlation between simulation and the actual results. Because of the success that Beacon Power has achieved by utilizing simulation early in the design process, most of the companies engineers are being trained in simulation, using MSC Patran and MSC Nastran, which results in a stronger technical organization, directly impacting both the product and processes, lowering costs and improving the final product. With a 150 lb. rotor spinning at an angular speed in the mid 20 KRPM range, stress, vibration, safety containment and thermal issues all must be addressed when designing a flywheel energy storage system. However, developing prototypes for physical testing is time and cost prohibitive. To improve design efficiency, MSC Patran, MSC Nastran, MSC Dytran, were deployed to simulate problems before incurring the expense of prototypes and physical testing. 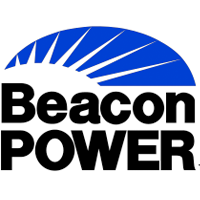 As a side benefit, Beacon Power improved its designs, while reducing material costs 50%.